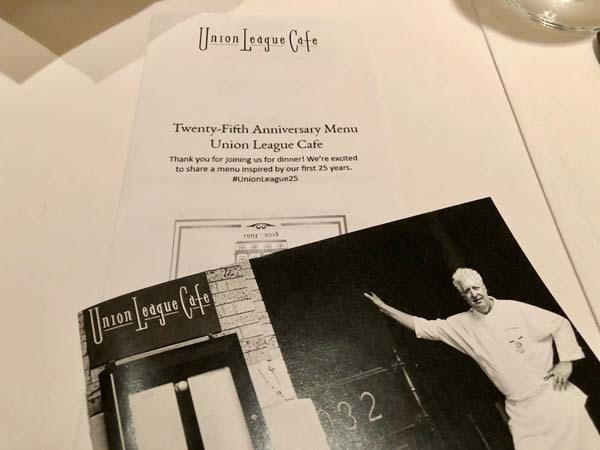 Recently we received an invitation we couldn’t refuse: A 25th-anniversary celebration at Union League Cafe! 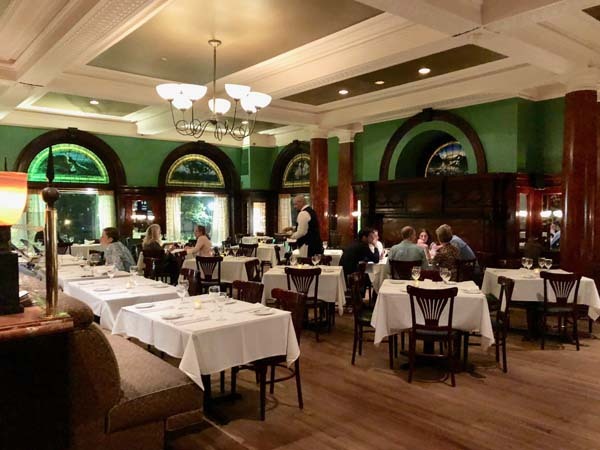 While I don’t get to New Haven often, Union League remains one of my all-time favorite restaurants on the Shoreline (until they opened their sister spot, Bar Bouchee in Madison). 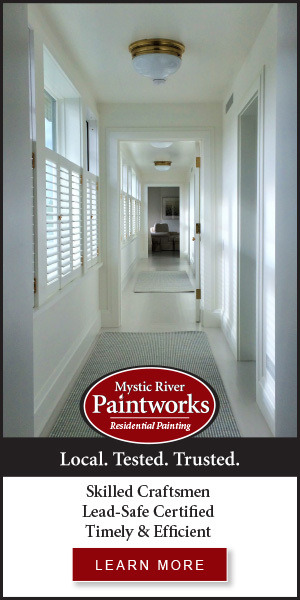 As my husband says, it’s got the best room: deep green walls, white-clothed tables, scuffed wooden floorboards, coffered ceiling, massive fireplace and hushed, bow-tied service. You can practically hear the toasts of thousands of anniversaries, birthdays, and graduations. It could be a brasserie in Paris. But lucky for us it’s here, and helmed by Chef Jean-Pierre Vuillermet, a Maitre Cuisinièrs de France (an honor bestowed on few French chefs and even fewer French/American ones). J.P. (as he’s known to the staff) has developed an anniversary prix-fixe menu, delving into the archives for dishes that he served 25 years ago. His long-time sidekick and sommelier, Jean-Michel Gammariello (also a noted chef), paired the dishes with organic wines, carefully hand-picked from select small vineyards in France (bien sur!). The food! 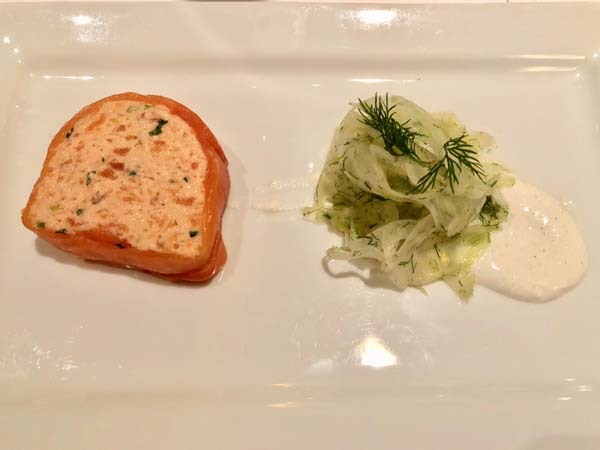 I started with a house-smoked Salmon Terrine, served with a small pile of fennel salad; a salty note, cooled by the sweet anise ribbons. 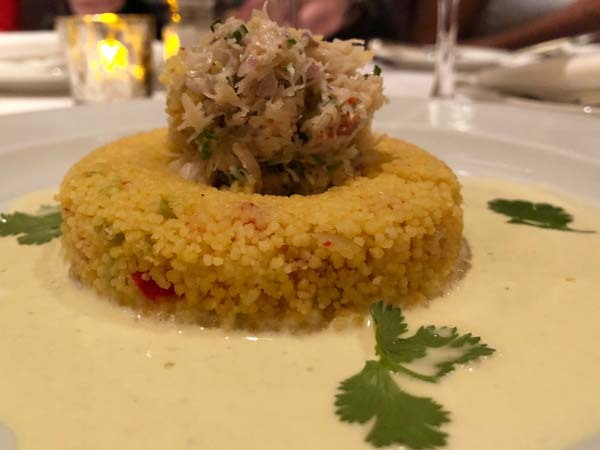 Laura dug into Peekytoe crab on a mound of citrusy tabbouleh. I don’t eat veal often and only in fine restaurants but happily made my way through a hefty portion of Veal Milanaise with house-made fettuccine and osso-bucco sauce. Laura’s “Deviled” Baby Chicken was served with a Dijon mustard sauce atop parsley studded mashed potatoes, a classic French rendition. 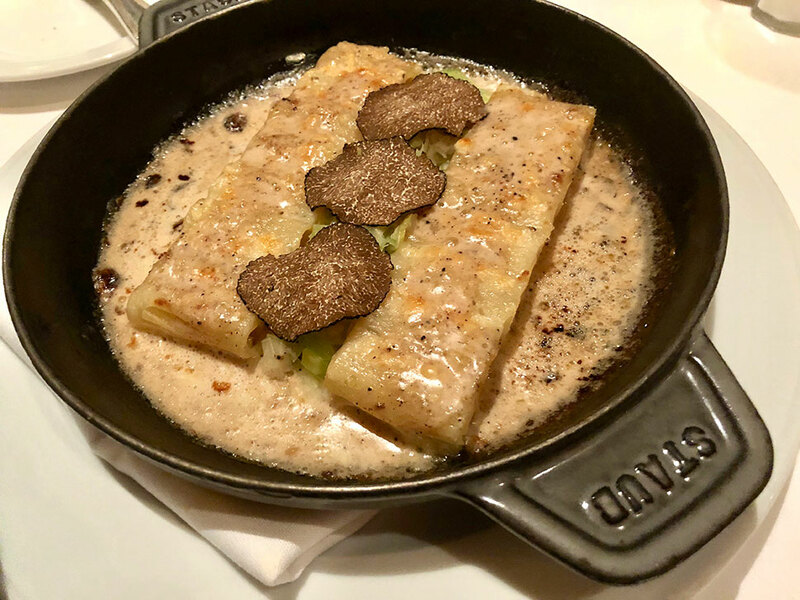 An incredible Leek and Macaroni Gratin with slim slices of black truffle was passed around the table before we dug into stunning desserts. 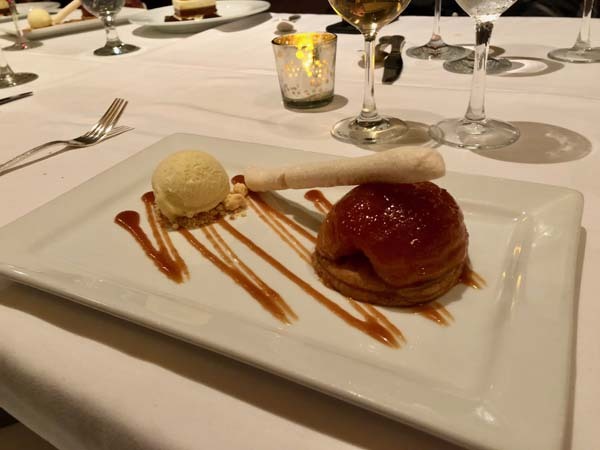 While I never turn away chocolate, this time in the form of Plaisir (layers of vanilla and chocolate mousse with a caramel crust), Laura’s Tarte Tatin with caramelized apples from Bishop’s and homemade vanilla ice cream was a standout. For the 25th anniversary, Union League has partnered with New Haven Farms, donating 25% of the proceeds from a seasonal cocktail and the Duck Leg Confit, a signature dish that has remained on the menu for 25 years. Taste the archival three-course pre-fixe menu from October 1 through October 31. $55, or $79 with wine pairings. Read more about Union League here.